Looking to set up a fishing business in France. Here is the ideal opportunity. 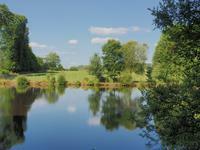 House plus gite with private fishing lakes. 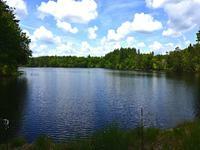 Set in 7.5 hectares of land there are 7 well stocked lakes amounting to 2.8 hectares of . . .
Lake on a stunning location in the Loire Valley with lots of carp and other fish and everything present to start a commercial fishing business. This lake used to be a very successful fishing business but the owners are now retired. . . . Single story wooden bungalow in quiet setting with big lake. Bungalow with covered terrace and lovely view on to its own lake. Very rare . . . 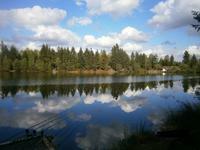 Impressive carp fishery with 4 large lakes with 32 acres of water within approximately 80 . . .
Beautiful location just 21 km (18 minutes) from Limoges airport (for fly-in guests) and with . 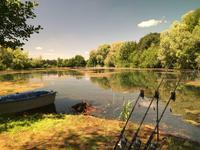 . .
Business-opportunity NOT TO BE MISSED: a 13Ha private (fishing)lake conform to standards, . . .